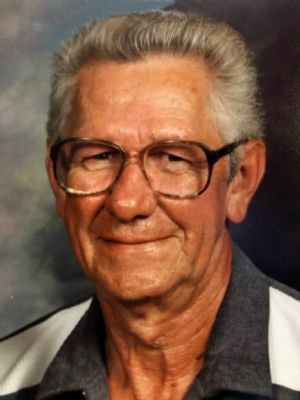 A. Thomas "Tom" Malinich, 85, of New Port Richey, FL and formerly of Reinholds, PA died Wednesday, Jan. 23, 2019 at the Lebanon VA Hospital. Born in Conemaugh, PA he was the son of the late George and Anna Bules Malinich. Tom spent his early childhood in Conemaugh, PA. It was during this period that he developed his love for music. While attending high school he formed his own touring band. Tom enlisted in the Navy in Dec. 1952, and was a Pipefitter, Class A, in Norfolk VA. He served aboard the USS Yosemite at Newport, RI at the end of his hitch in Dec. 1956, as well as the naval reserves ending in Dec. 1960. He was an entrepreneur operating P&T Fabrics in Ephrata, PA along with many small area markets. He will be remembered for his love of ballroom dancing in his later years as well as many, many dance partners with whom he graced the floor. He is survived by: four children, Margaret "Peggy" married to Barry Kieffer, Sicklerville, NJ, A. Thomas married to Tracy Thomas Malinich, Lititz, Patricia Ruth married to David Sherk, Reinholds, Stephen Eugene Malinich, Lancaster; seven grandchildren; two great-grandchildren; a brother, Charles married to Connie Malinich, Camp Hill; sister-in-law, Agnes Malinich, Laurel, MD. He was preceded in death by: brothers, George, Paul, John and Steven; and a sister, Irene Liscinsky. Graveside services will take place at 2 p.m. Wednesday, Jan. 30, 2019 at the Indiantown Gap National Cemetery, Indiantown Gap Road & Rt. 934, Annville, PA. (Please arrive at the cemetery at 1:30 p.m.) Kindly omit flowers.